Carbon capture could help the country’s coal plants minimize greenhouse gas emissions, however economic challenges are part of the reason the technology is not extensively used at present. That could transform if power plants could convert captured carbon into a usable product. 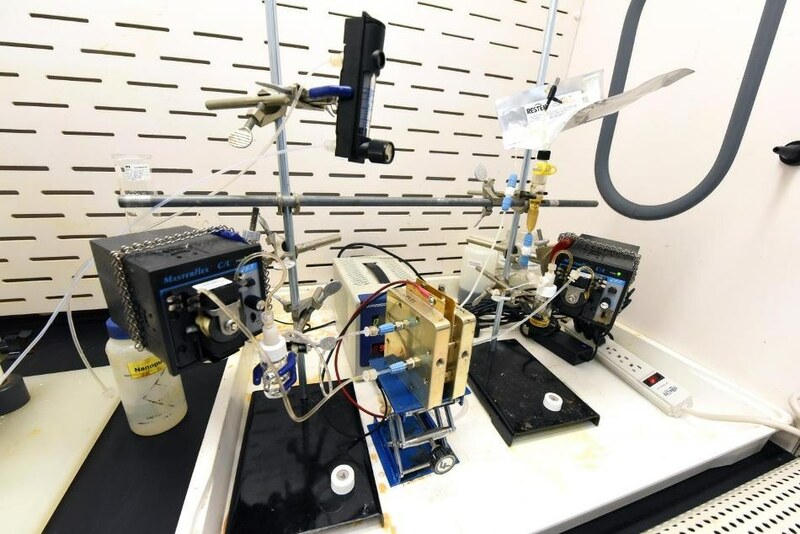 Researchers at the U.S. Department of Energy’s Idaho National Laboratory have come up with an efficient process for converting captured carbon dioxide (CO2) into syngas, a mixture of H2 and CO that can be employed to produce chemicals and fuels. The team has published its findings in Green Chemistry, a publication of the Royal Society of Chemistry. Traditional methods for reusing the carbon from CO2 include a reduction step that requires high pressures and temperatures. At lower pressures, the CO2 does not remain dissolved in water long enough to be beneficial. The process formed at INL looks at this challenge by using specialized liquid materials that render the CO2 more soluble and allow the carbon capture medium to be directly added into a cell for electrochemical conversion to syngas. In a nutshell, it provides industrially applicable conversion rates, in contrast to other systems. When syngas can be created from captured CO2 at substantial current densities, it increases the process chances for industrial application. In contrast to other processes that require high pressures and high temperatures, the SPS-based process displayed best results at 25 °C and 40 psi. INL’s team has applied for a provisional patent and is in talks with a Boston area company involved in electrochemical technology research and development, Lister said. It integrates two areas that have been on parallel tracks: carbon capture and sequestration (CCS) and CO2 utilization. The problem with CCS has been its economic feasibility. If you can get some extra value out of the CO2 you are capturing, it’s a different story. Idaho National Laboratory is one of the U.S. Department of Energy’s national laboratories. The laboratory undertakes work in each of DOE’s strategic goal areas: energy, science, national security, and environment. INL is the country’s leading center for nuclear energy research and development. Battelle Energy Alliance is responsible for the day-to-day management and operation of the laboratory.